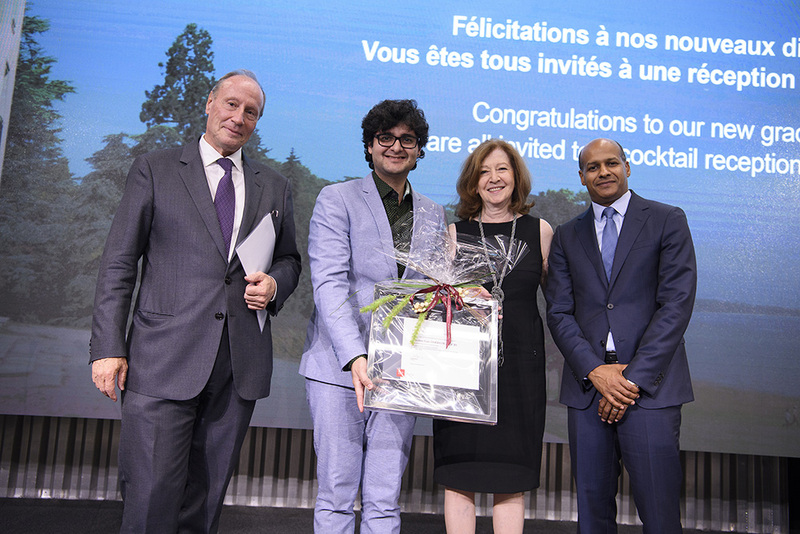 The recipient of the Pierre du Bois Prize in 2018, awarded annually for the best doctoral thesis in International History defended at the Graduate Institute, Geneva, is Dr Caio Simões de Araújo. 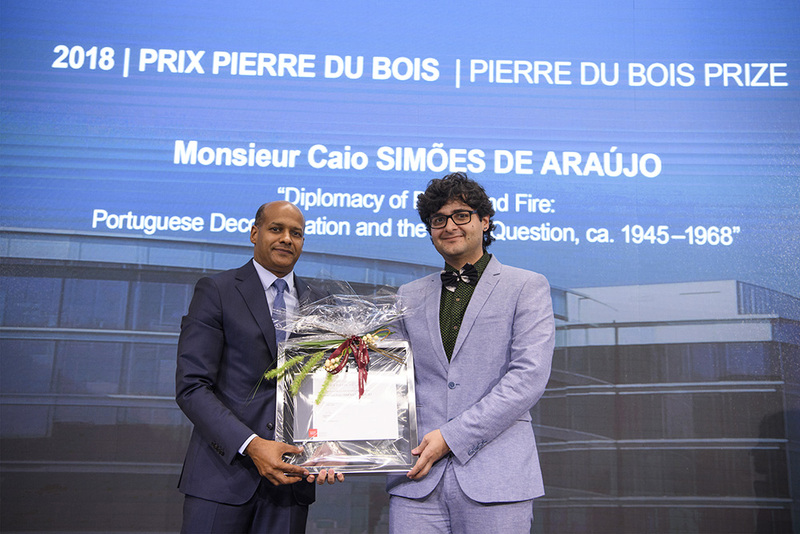 Dr Simões de Araújo received the prize on 14 September for his thesis Diplomacy of Blood and Fire: Portuguese Decolonization and the Race Question, ca. 1945-1968. The dissertation grounds the history of race and decolonization on the Global South by looking at Portugal’s late colonialism and as a port of entry into the complexities of what was a deeply transformative era. It explores how the Portuguese example dramatized perhaps the most critical problems in international politics at the time. Firstly, the post-war era was marked by the manifest need to reformulate intellectual debates and political vocabularies at a time when “race”, as a marker of human difference, was falling into disrepute and being attacked internationally. Secondly, twentieth-century decolonization required and animated the transformation of international relations, particularly to make room for the aspirations and agendas coming out of a rising postcolonial world, or from an emerging Global South in the making. In that process, former metropoles had to compete not only with the superpowers, but also with emerging countries of the Global South, themselves imbued with political aspirations. The research shows that Brazil, India and South Africa – as major international players in their own right – had their own agendas for what they saw as viable solutions to the Portuguese colonial problem, and to the problems of global race relations and ending empire more broadly. This, in turn, required particular responses from Portuguese diplomacy. The dissertation complicates the vertical relationship between metropole and colony to emphasize the linkages, transits and exchange existing horizontally, thus developing another cartography of the decolonization era.